. . . For the Family and Those Who’ve Seen it! 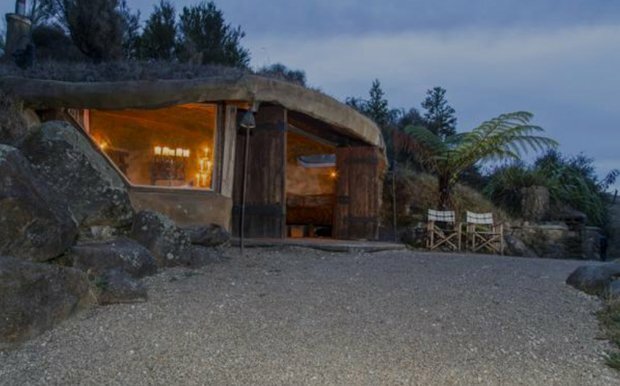 With the presence of earth-sheltered homes stronger than ever these days, in tune with the shift towards sustainable and eco-friendly housing choices, we see a lot of inspiring and awesome examples featured on the Web, YouTube and on many architectural and design blog sites. 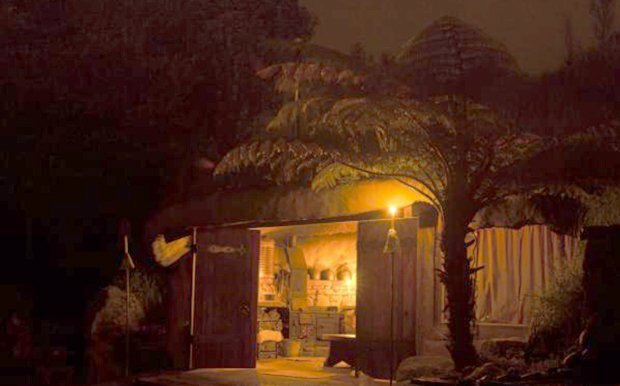 The earth house featured here called Underhill, located in Waikato, New Zealand, is extra special though because it’s a “project of love” undertaken by Graham Hannah, the owner, that spanned over 4o years. 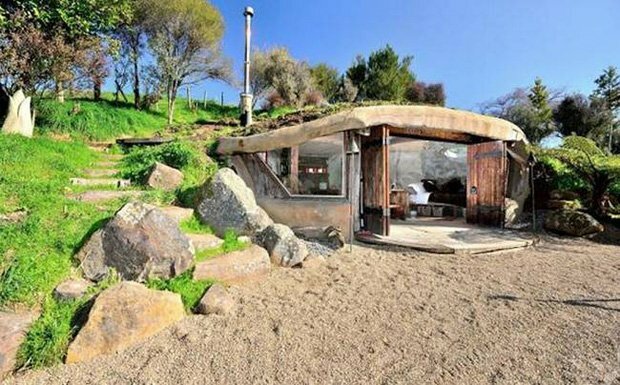 The desire to one day build an earth or cave house started way back when he was 17, traveling through Europe for 3 years and staying in caves. 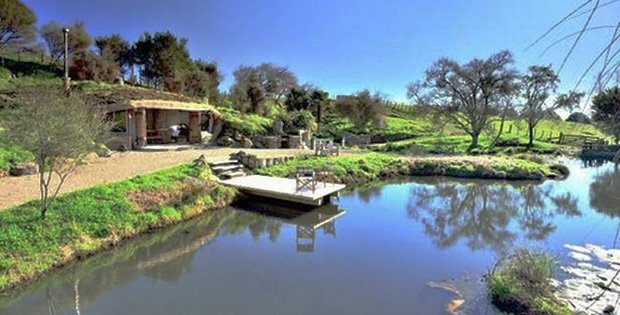 All that culminated in the Underhill property and the earth home and its amazing surroundings and amenities that we are now admiring. 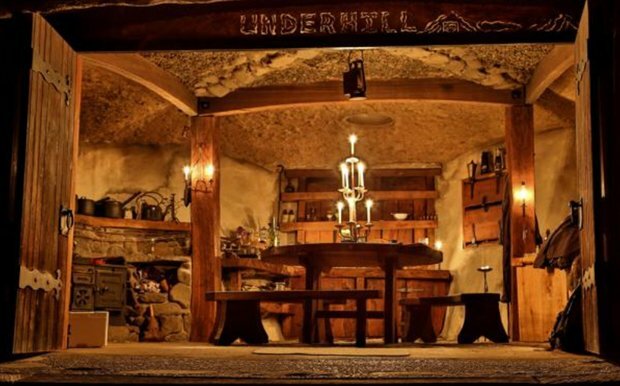 The endearing Underhill cave house is probably the best example of a hobbit-looking earth-sheltered home that could have been transported magically from the movie “The Lord of the Rings,” but with a pond of its own, and a heavenly oasis-like setting. Oh, by the way, the Graham family has recently opened the Underhill doors to couples who may want a taste of glamping adventure. Now take a look at the photos and tell us what you think on our Facebook Page! 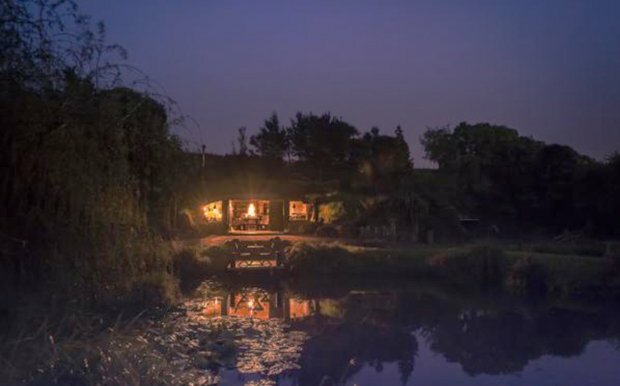 Step out of the hustle and bustle of your life, straight into a fairytale, with a stay at the enchanting Underhill Valley. 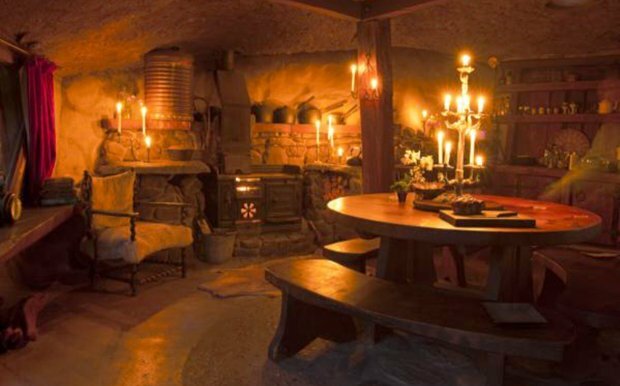 Built into a hillside, this hobbit-style accommodation has been beautifully hand crafted with rustic native timbers and ironwork, to create a sustainable and authentic space. 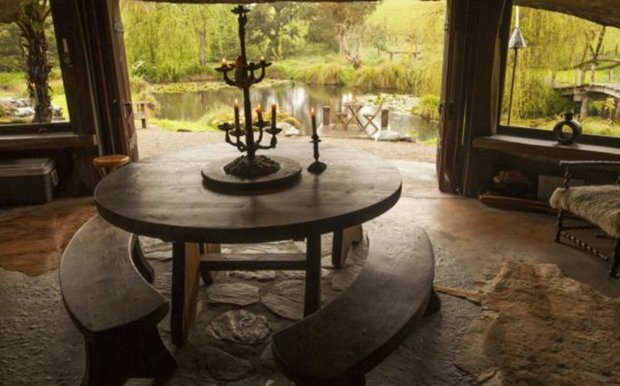 Huge timber doors open wide to overlook a picturesque pond and farmland beyond. You’ll enjoy the warmth and ambience of an old coa range . . . the soft glow of candlelight . . . a glass of wine on a seat by the pond, under the stars. Or just snuggle into the luxurious, especially shaped bed – with pure cotton linen, comfy pillows and thick, wool duvet. Can You Guess Which Congressman is a Lumberjack World Champion?